Two defendants were sentenced to 30 days in jail after both were found guilty of probation violations Wednesday in Hillsboro Municipal Court. The Times-Gazette previously reported that Joshua Helterbrand, 33,Hillsboro, was charged with fourth-degree felony theft after allegedly using a vehicle without permission. In April, he entered a agreement and pled guilty to a first-degree misdemeanor. Helterbrand pled guilty to unauthorized use of a motor vehicle. A 180-day jail sentence and a $1,000 fine were both suspended. He was placed on reporting probation and ordered to obtain counseling at FRS. He was also found guilty of a probation violation at that time on a past conviction for taking deer. A 30-day jail sentence was imposed. On Wednesday, Joshua Helterbrand appeared after failing a drug screen, according to the municipal court. He was found guilty of a probation violation. A 30-day jail sentence began when he was taken into custody Tuesday. 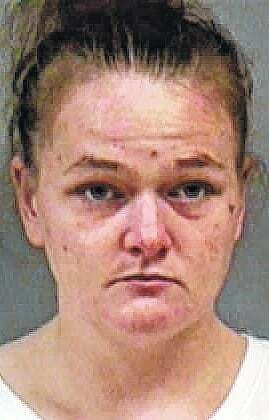 In other cases, Rachelle Miller, 29, Hillsboro, also appeared on a probation violation. According to court records, Miller was found guilty of first-degree misdemeanor theft in 2013. A 180-day jail sentence and a $1,000 fine were suspended on the condition that Miller complete 120 hours of community service. She was placed on reporting probation. Miller was also ordered to pay restitution and complete a theft class. Records show that Miller made regular payments toward restitution. In addition, Miller also has two past convictions for receiving stolen property. According to records, she pled guilty to those charges in 2013. Last June, a warrant was issued on Miller’s theft case after she allegedly failed to comply with the probation department, records show. Records add that Miller appeared on that warrant later that same month, and a $3,000 bond was set on a possible probation violation. At that time, she faced minor misdemeanor charges for driving without a license and failure to yield. According to records, a $150 fine was ultimately suspended on the license charge and the other case was dismissed. In July, Miller was found guilty of a probation violation and a 150-day jail sentence was imposed and set for October. She was given credit for 35 days in jail. In October, her case was set for a total of three different review hearings, the last of which was scheduled for Nov. 10. On Nov. 6, an affidavit was filed by the probation department and the remaining 115 days from July were imposed, records show. Miller could be furloughed to inpatient treatment, records add. Last month, Miller appeared in the court and “further execution of (her) sentence (was suspended),” records state. Previously imposed conditions remained. A probation violation was then filed with the court on Tuesday. She reportedly failed a drug test, according to the municipal court. On Wednesday, Miller was found guilty of a probation violation, and she began serving a 30-day jail sentence. Records add that Miller remains on a curfew. Her reporting probation was also extended for an additional two years.